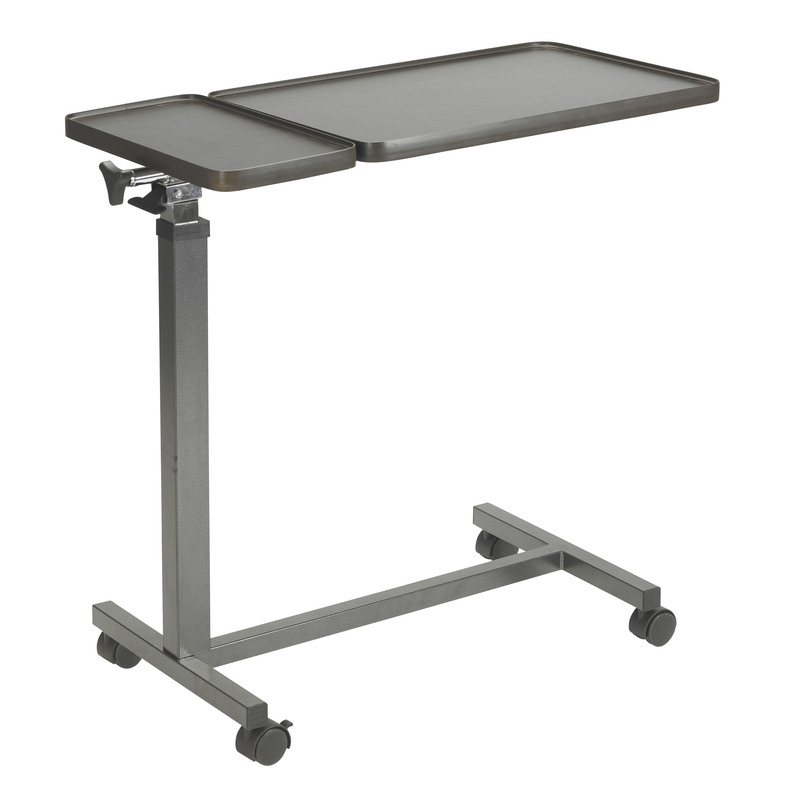 The Multi-Purpose Tilt-Top Split Overbed Table from Drive Medical gives you two stable independent surfaces for eating working or entertainment. The height of the attractive wood-grain tabletops is infinitely adjustable and the larger surface can be angled to place it at the ideal position for you. The smaller surface always remains flat perfect for keeping food drink glasses remote controls or other items secure. This Multi-Purpose Tilt-Top Split Overbed Table can also be used as a mobile workstation a drafting table a laptop desk an artist's table or an entertainment tray. With a 55 pound weight capacity you can be assured your items will be safe and secure on this table. The tabletop can be raised as high as 46 inches allowing it to also be used as a standing desk. Additionally the Overbed Table's caster wheels make it easy to maneuver and allow the table to be placed wherever it is most convenient.